Prendergast Sixth Form is pleased that once again our students have achieved strong results. We have had an important increase in the number of students achieving A* to E grades and a 14% increase in the number of students achieving 3 A Levels. We have had a very high proportion of our students achieving their desired results which will get them into the top universities of their choice, including Imperial, UCL, Manchester, Edinburgh and Newcastle, to read subjects as diverse as Engineering, Pharmacology, Pharmacy and Physiology, Mathematics, Medicine, English Literature, Creative Music Production and Computer Game Design and Engineering. 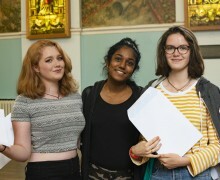 This year the sixth form cohort was larger and 14 subjects gained a 100% pass rate. In 11 subject areas 20% or more students gained at least grade A or A*. These were Maths, Chemistry, History, French, Italian, Russian, Arabic, Sociology, Art, Textiles and Product Design. Prendergast is also pleased to report that there has been a significant increase in the number of students attaining 3 A level qualifications. Whilst all students have done very well indeed, we are delighted to announce that 9 students have achieved grades in excess of A, A, A, placing them amongst the highest achieving sixth formers in the country. Lucy Hetherington achieved A*, A*, A and will read English Literature and Film at Manchester after completing an art foundation at Kingston. 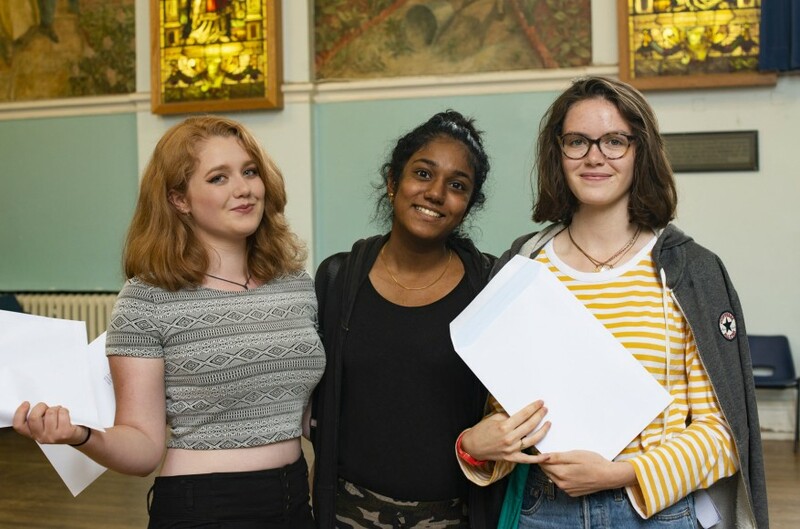 Lily Hutton, Amy Hodder Tempest and Amar John all achieved A*, A, A and will go on to read Mathematics at Warwick, English Literature at Sussex and Mechanical Engineering at Southampton respectively. 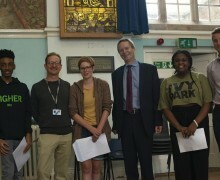 Furthermore, the following students achieved A, A, A: Cecily Ward, who will read Medicine at Newcastle; Lucy Haddad who will read Physics at Queen Mary University of London; Dominic Howell who will read Creative Music Production at Oxford Brookes; Kat McVann who will read Pharmacy and Physiology at Manchester after taking a gap year and Alicia Harris who will study Pharmacy at UCL. While not a huge surprise that these students have done so remarkably well as they have shown considerable diligence and talent in their studies throughout their courses, these are nonetheless superb achievements. Jian came to the UK as a Syrian refugee in 2016 and has achieved grade A in Chemistry and Arabic and B in Biology and Mathematics. He will now go on to read Pharmacy at Kings College London. 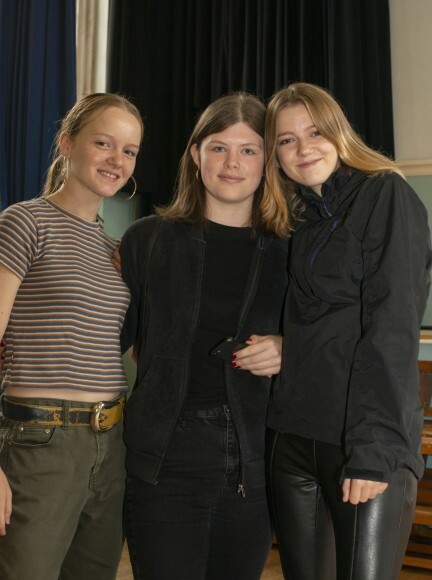 Other students achieved the top grade of A* in at least one subject including Anna Gallimore, Aisling O’Brian, Natasha Bateman-Brown and Georgia Staden Laing. 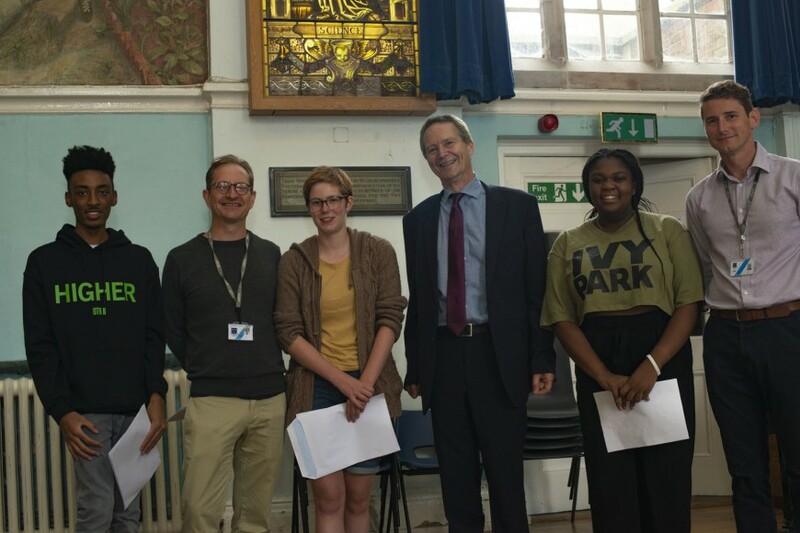 The vocational subjects included some exceptionally strong performances from Nathan Gentle-Green, Dominic Howell and Olivia Jackson who all achieved Distinction* in Music Technology. Well done to all of the Prendergast Sixth Formers and we look forward to hearing about your success stories in the future.